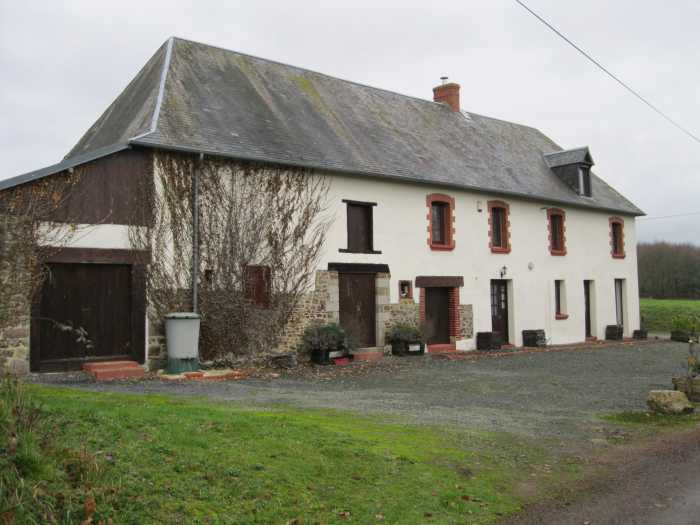 This is a good opportunity to purchase a renovated four bedroomed house set in the countryside fifteen minutes from St.Lo. The property has been renovated to a high standard and is ready to move in to, it sits in its own grounds with a pretty garden and patio area with an orchard and a seperate paddock. Fitted kitchen leading to a large lounge with efficient log burner, this room has access to the patio and garden area. There is a room which could be used as a dining area, study or bedroom. There are three large bedrooms with a well equipped family bathroom on this floor. There are two large airy bedrooms, one with an en suite. The second bedroom could also be used as a studio if required. There are three large integral outbuildings one of which would be an ideal workshop plus a wood store. The garden has been well thought out with a lawned area plus a gravelled patio area. There is a nice orchard and also a seperate paddock. The property has views over the countryside and forest. St.Lo the departmental capital of the Manche region is fifteen minutes away and the property is within an hour of all the major Normandy tourist attractions including Le Mont St.Michel, Bayeux, D-Day beaches etc etc. Double glazing, Fireplace, Internet, Barbecue, Well.